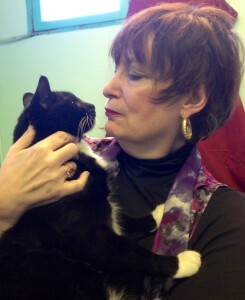 Sydney returns home to North Carolina to help plan an even intended to keep the animal shelter where her sister Kat works afloat. A local bully threatens to do whatever it takes to stop the event, and Kat yells at him that it will be the last thing he will ever do. Since he is found dead not long after, Kat becomes suspect number one, and Sydney goes to work to prove her sister’s innocence. This well-paced mystery kept me in the dark right up to the end. 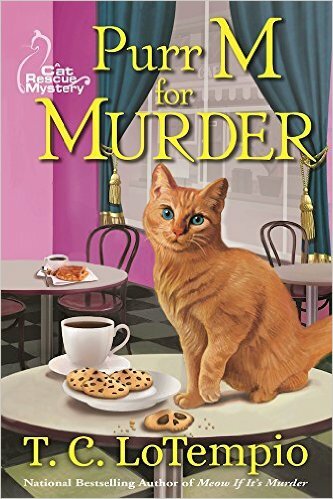 Purr M for MURDER is the first in what looks to be a great new series. Great cover! I can’t wait to read more about Toby.